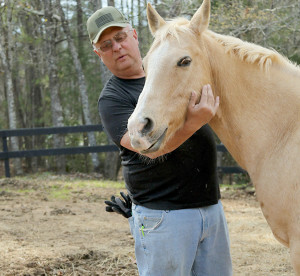 Retired Army Command Sgt. Maj. Sam Rhodes was diagnosed with post-traumatic stress disorder after serving 30-straight months in Iraq starting in 2003. Upon returning home, he discovered that horses helped him regroup. Now, he runs a nonprofit organization, the Warrior Outreach Ranch, which helps veterans and their families reconnect and relax by learning to deal with horses. Of course, stress and PTSD are not always limited to veterans alone — many family members and civilians can have similar weight on their shoulders, and sometimes the weight can just be too much. 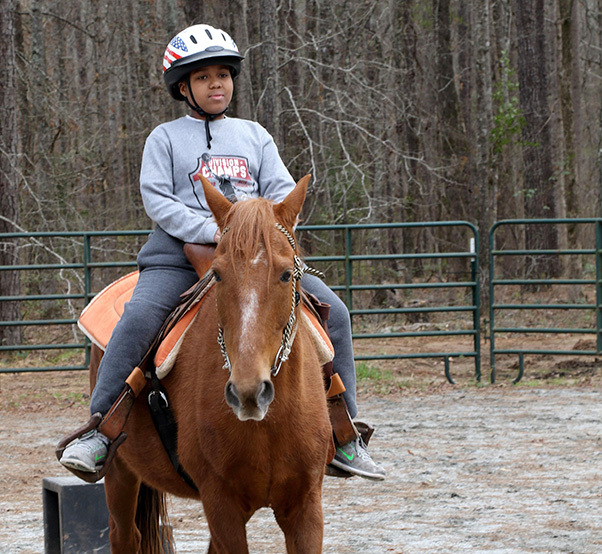 Tyler Patterson, a Boy Scout with Troop 69 out of Columbus, Ga., learns to ride a horse during a visit to the Warrior Outreach Ranch, a nonprofit organization for veterans and family members to relax and unwind through equine therapy.